Happy Friday! 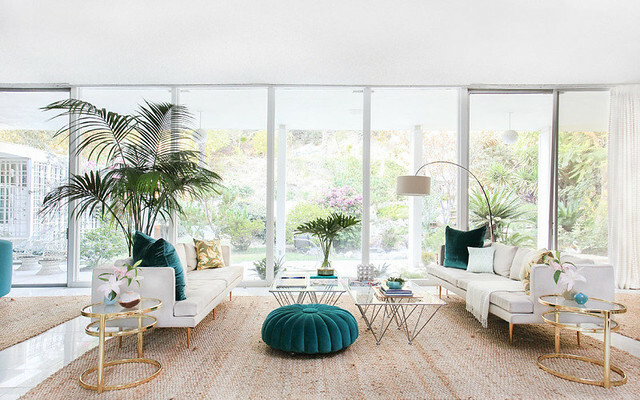 As I’m sure you all probably know by now, I’m obsessed with interior design (more on that later…), and as such it would make sense that the home decor section of my Pinterest board is the most popular and has the most pins. I’m constantly flooded with amazing inspiration every time I log into Pinterest, and felt it was about time I start sharing my favorites on the blog. I’m thinking about making this a weekly feature, so let me know what you think! 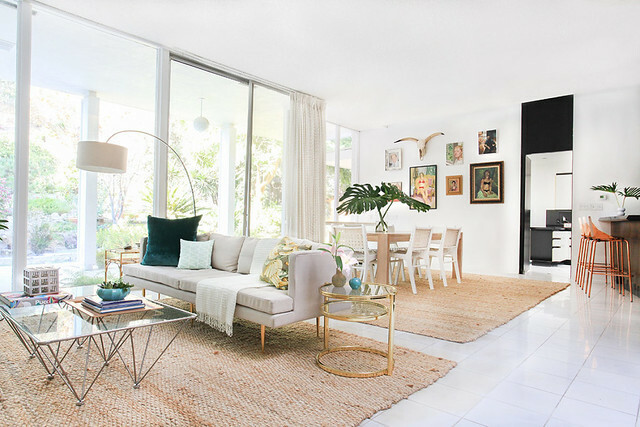 First up, the home of author Kelly Oxford designed by designer Orlando Soria. I seriously can’t get this place out of my head since I’ve seen it. 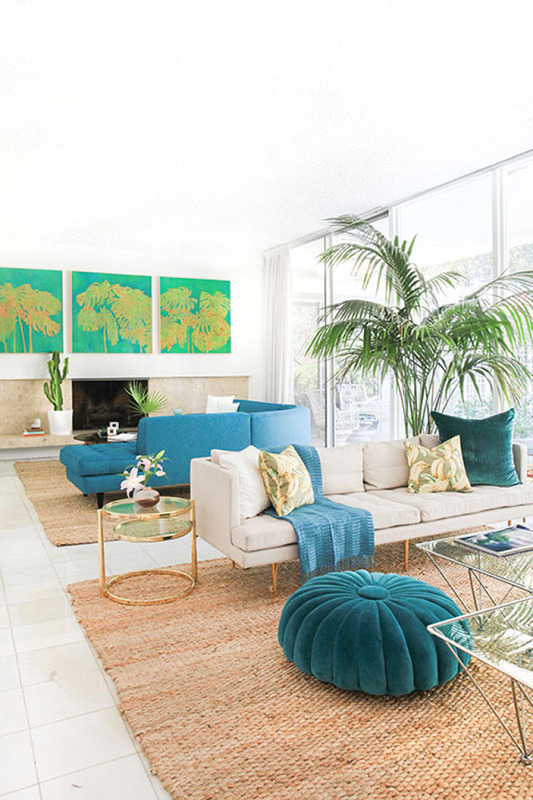 They hail the space as “Palm Springs inspired”, so of course it’s nothing short of fabulous. 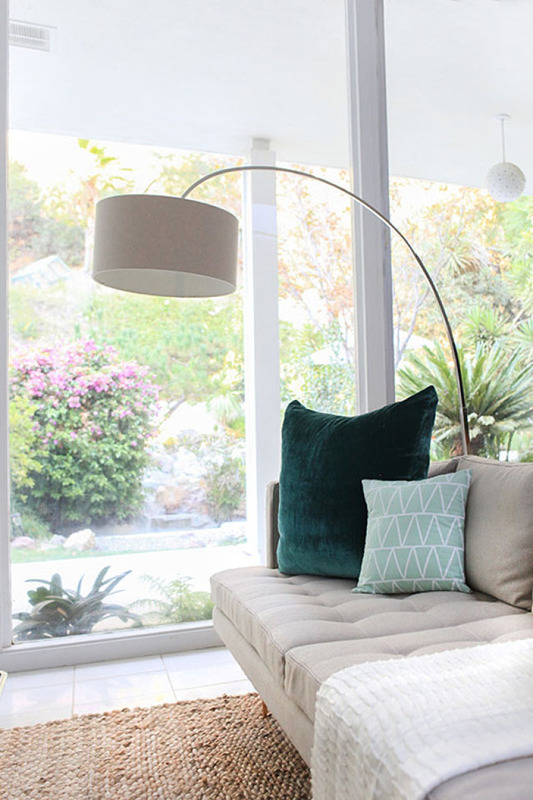 I love the mix of luxurious fabrics like teal velvet with more natural elements like a jute rug. 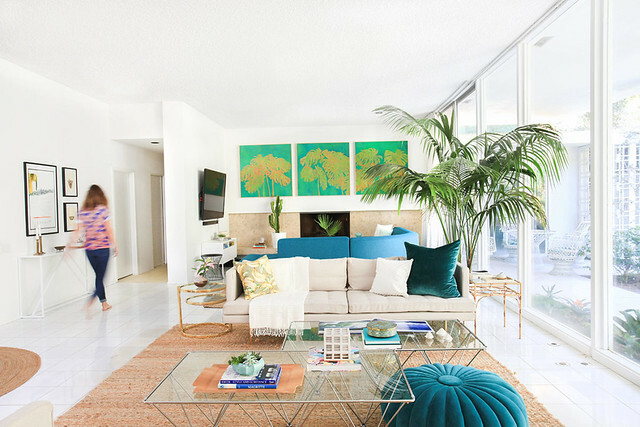 The mirror image room layout is the perfect setup for entertaining — I can see all of my friends cozied up on the couches with good food, drinks and conversation. To me that’s a huge component of a well-designed room… being able to envision life happening in it. What do you think? Do you love the space as much as I do? Make sure to check out the rest of her space over at Homepolish! 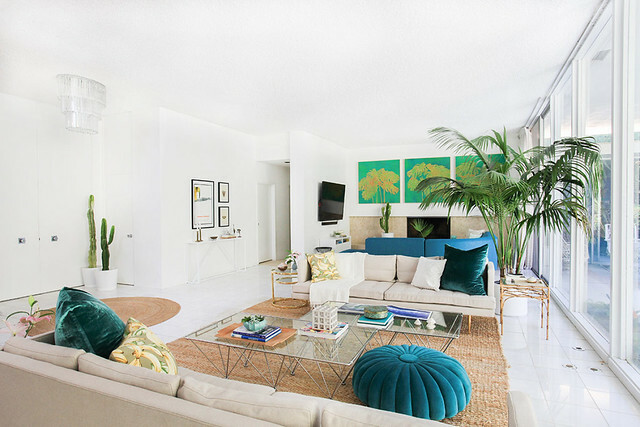 You living room is super cute and cozy. i love that room. lovely pics. Shop the best pedicure chairs cheap here.